Car use in Belgium should be taxed by the kilometre and according to the time of day to help reduce traffic jams, two major Belgian business federations have recommended. The kilometre tax, which already applies to lorries, should be extended to all motor vehicles, according to FEB, the Federation of Belgian Enterprises, and automobile federation Febiac. 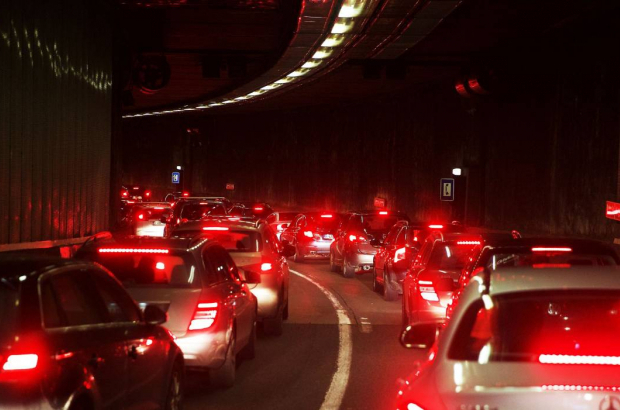 "We should be taxing car use rather than car ownership," said Pieter Timmermans, director of the FEB, which estimates that Belgian motorists lose more than a week's work - 44 hours - in traffic jams every year, at an annual cost to the economy of €8 billion. Febiac, which represents the Belgian automotive sector, has also called for a "smart" tax based not just on distance travelled, but where and at what time of the day. This would replace the existing system of road tax - and Febiac estimates that it could lead to a 10% reduction in rush-hour traffic. We would benefit from more joined up thinking. Building permits for new builds, where there is no public transport access need to be thought about, better and more public transport options. Stronger integration of current travel cards so they can be used throughout Belgium - like in Japan. Car share rides can be promoted much more than today. But, personal attitude is an issue. I recently spoke to a friend about a journey to work. In the car it takes 11 minutes - by buss, 45. This individual does a mix of both depending on the days meetings and locations. But, the difference in time is an issue. There are people that spend close to four hours a day in the car to travel to/from work - because there are no jobs close to where they live and they want to live in the village where they grew up. Charging by kilometer, at peak times, may be one tool in the kit - but it is not the only or final solution. Joined up thinking please? The answer to all the problems is not taxes. The government needs to first find an answer to why people prefer to lose 44 hours per year in traffic jams rather than taking the bus or train. How about forcing the government to pay people for their wasted time in traffic....in the form of tax rebates or cash. Then maybe the government will work harder to fix the infrastructure issues in as timely manner. Government works for the people, not the other way-round.